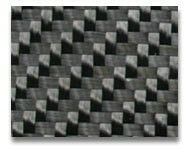 1 foot of Carbon Fiber Twill, 3K 2x2. Twill carbon, attractive pattern. Gives 3-dimensional/diagonal appearance. More easily drapable than plain fabric, but also more delicate. 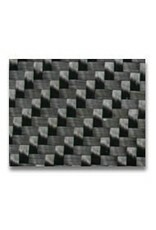 Commonly used in aftermarket parts where you see the "carbon fiber look" 2x2 twill weave is a two over two under weave pattern. This is our 1st quality cloth that always is top quality fiber and always woven in the USA.